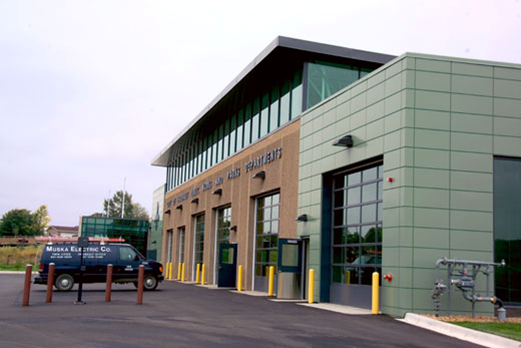 The new facility consists of an 11,000 square foot vehicle maintenance area, a 46,700 square foot vehicle storage space, a 2,200 square foot vehicle wash bay, a 4,170 square foot water/sewer department, a 2,300 square foot sign shop, a 2,300 square foot carpentry shop, a 4,500 square foot parks shop and 9,450 square feet of park and public works office space. Located within the office/administration space is a 1,800 square foot multi-purpose room that can be used for community meetings and training purposes. This project consisted of 11,000 square feet of hollowcore plank and a 25,400 square foot, 12” VC insulation sandwich panel.